All puppies from this litter are sold. Please check the Adult Rottweilers For Sale page for available young adults. 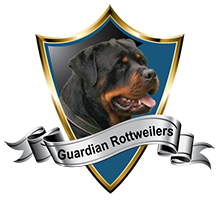 Rottweiler puppies from Guardian Rottweilers’ B litter born 28th of November 2015 are 173 weeks and 5 days old today March 28, 2019. $1500 including AKC registration, microchip and vaccinations. Tails are docked. Sire is Guardian’s Polo, dam is Guardian’s Amber. With this breeding our goal is to produce easy to train working quality dogs for home protection, and sociable companions. We are located in Fort Lauderdale at Sunrise Blvd & NE 15th Ave. a convenient driving distance from Miami and West Palm Beach. Sire, dam and puppies are on premises. 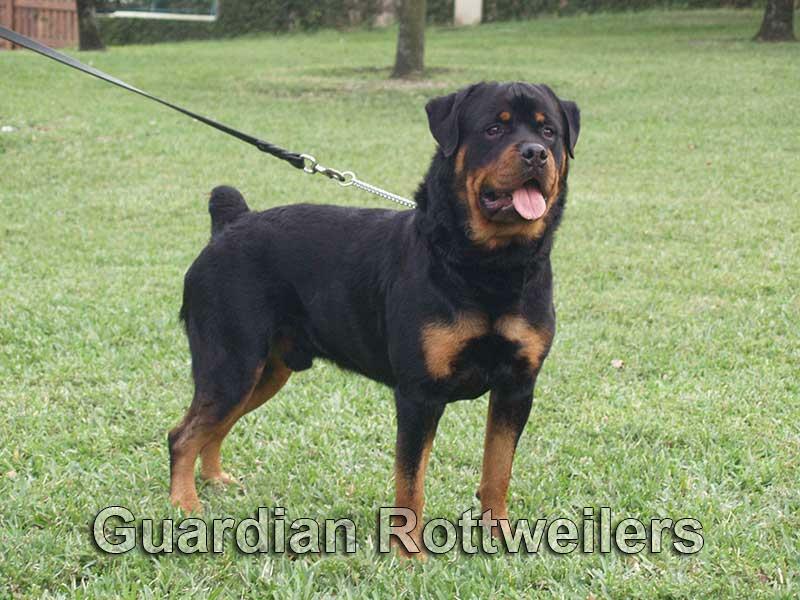 Champion Guardian Rottweilers’ Polo is a great example of how a rottweiler male should be with excellent structure, perfect head, good bone and beautiful markings. He is a large dog standing 26″ tall at the withers and 110lb lean weight. Polo is well behaved around the house. He is a dog that follows his owner everywhere and loves attention. He’s friendly with people and other dogs, but is ready to fight a male dog that will challenge him. Polo is very playful and has tremendous drive which can be easily channeled into Schutzhund or protection work. He is alert and reacts to disturbances on his property. 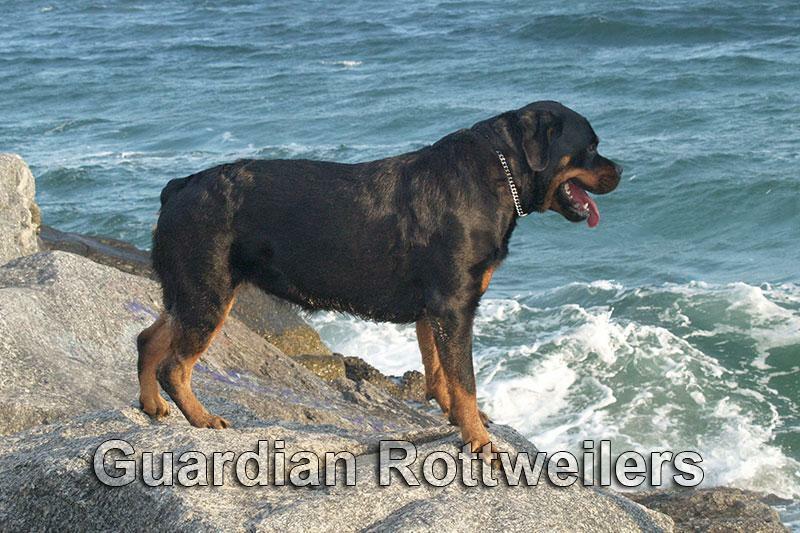 Guardian Rottweilers’ Amber is a playful rottweiler female with tons of drive. She’s quick to catch on when teaching her something new, and readily responds to the owners directions. Amber is the kind of dog you can take anywhere, friendly with people/kids and other dogs, but ready to turn it on if she senses a threat to her family. She is alert on her property and reacts with aggression to intrusions.